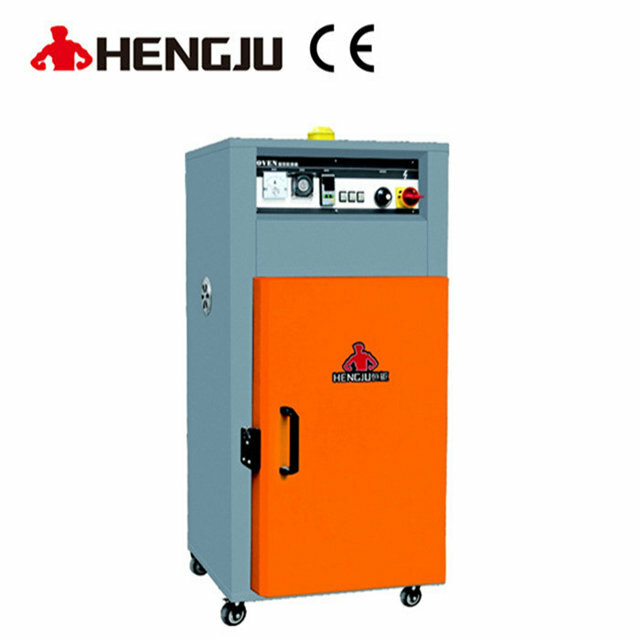 High quality plastic cabinet dryer heating oven for sample product_Dongguan Hengju Machinery Equipment Co., Ltd.
1. Application for plastic raw materials drying, especially use on less quantities with many different samples or plastic samples testing. 2. To save working time by avoiding materials exchanging and cleaning. 3. Application for plastic molding tempering, that inrcease the plastic's toughness and eliminate the tension to improve the products quality. 4. Also can be used in the preheating and drying processing for agricultural products (pollen, garlic, tea), electronic, motor, electroplating, pharmaceutical, paint, printing and other products. 1. 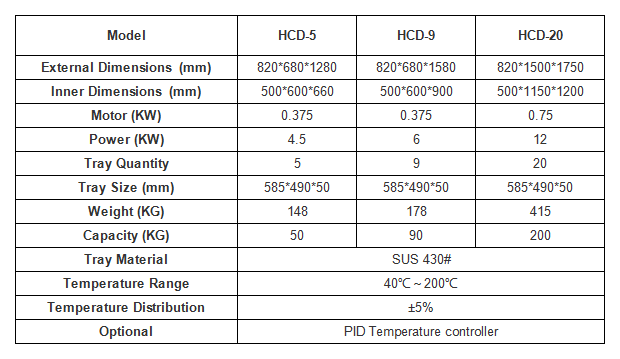 With unique design of powerful air temperature and air duct system, making sure the internal temperature distribution even, baking quality is worthy of trust. 2. With stainless steel shelves and circulating hot air recycling design--energy saving, durable, suitable to dry several of plastics.